Prime Minister Binyamin Netanyahu told CNN interviewer Erin Burnett on Tuesday he can “deliver a peace agreement” with the Palestinian Authority. However, Netanyahu stressed that compromise was a two-way street and no agreement would be possible if PA officials refused to make concessions as well. “Many compromises that people talk about are on the Israeli side. But there are necessary compromises on the Palestinian side… peace is always a two-way compromise,” Netanyahu told Burnett. “I think that peace would benefit us, as I think it would benefit the Palestinians, as it would benefit the entire region,” he added. He also said he was committed to a contiguous PA state in Judea and Samaria. The future PA state should not “look like Swiss cheese,” Netanyahu said. “I’m the prime minister who removed 400 checkpoints, barriers, roadblocks and so on to facilitate the growth of the Palestinian economy. This is in line with what I believe is essential.” he said. During the interview Netanyahu also told Burnett that his concerns were rooted in security, saying Israel had no desire to meddle in a future PA state’s domestic affairs. “I don’t want to govern the Palestinians. I don’t want them as subjects of Israel or as citizens of Israel. I want them to have their own independent state. 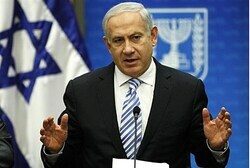 But a demilitarized state,” Netanyahu said. “Well, you know – well, you have a sense of humor…. This is a farce. Nobody can seriously– nobody can take them seriously,” Netanyahu said, laughing after Burnett asking him about Iranian claims that their nuclear program is peaceful.